The source of my anger is a pencil. This Pencil. On this particular occasion, “The Pencil” was retweeted 28 times and liked 55 times. 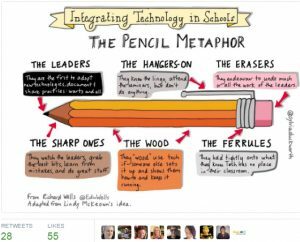 It’s a pencil, it’s technology, it’s education. Get it? it’s infinitely shareable. Put it on your twitter, pinterest, instagram, facebook. So why am I so mad about it? 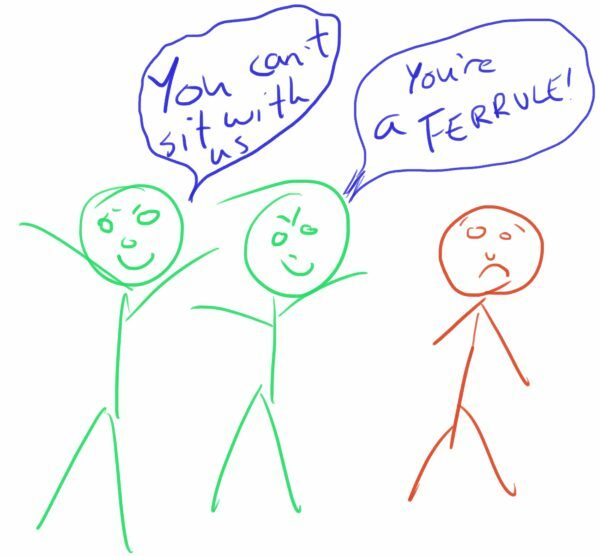 It’s my colleagues, your colleagues, our colleagues that are getting labelled here. What purpose do these labels serve? Would we tweet a similar picture if the object of the labelling were our own students? “The sharp ones”? “The dunces”? Surely we’re aware of the damage these kinds of labels would do in our own classroom? Why apply them to our colleagues?! This image pours scorn upon “the wood”, “the ferrules”, “the eraser” and “the hangers-on”. Doesn’t this seem a little high school to you? And of course we’re retweeting this pencil from the pointy end. If you’re a teacher on twitter no doubt you are one of the “leaders” or maybe one of the “sharp ones”. 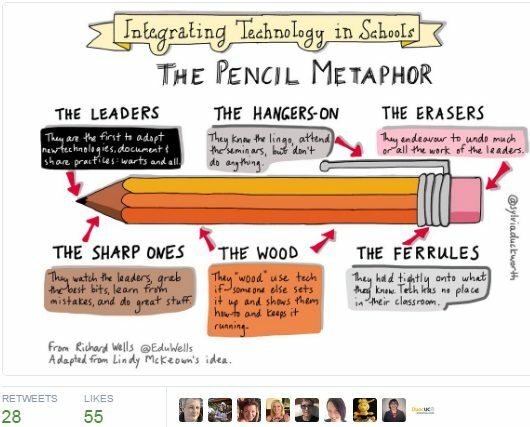 But would a true leader spend time labelling the rest of “The Pencil”. Nobody is defined by a label. We are all multi-faceted teachers trying to do the best for our students. When I work with teachers that are supposedly “erasers” or “ferrules” I discover that, without exception, they are anything but. They are all educators who are passionate about their work and want to do the best for their students in their own, complex way. Nobody can be summed up in a single word. To make the attempt is foolish at best and bullying at worst. I’ve spoken about this before here Nobody Likes Change, Everybody Loves Improvement and the teachers at my school affirm it every day. They will use technology when and if it’s appropriate in their own classroom given the opportunity and tools required. If you think you’re a “sharp one” and all you see is “ferrules”, then you’re the problem. But What Should We Retweet? You can retweet this disjointed angry blog post if you like. Or perhaps my new and improved pencil metaphor (below). The pencil made me very, very sad. Sad because our job is tough and what makes it worth it is the kids but what picks me up when I’m down is the support of my colleagues. I screw up more often that I’d like and the last thing I need is someone telling me I’m useless because I’m not good enough to be a ‘sharp one.’ At my school, I’m one of the sharp ones with edtech, but somewhere else.. who knows. This pencil is a bully that destroys collaboration and the growth mindset that says we all have strengths to contribute in our school environment. Luckily everyone needs to be a flash edtech adopter because in our school we support each other and believe in our collective efficacy. That cheered me up. 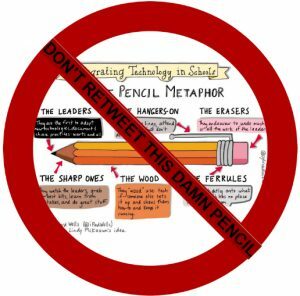 But then… What if other schools use the pencil? The only affirming place in the pencil is at the front. Even the middle (the majority) are ‘dead wood.’ To think that anyone would look at the pencil and say “yeah, I’m dead wood” makes me I’m so sad. So, if you ever see yourself in the middle or the back of the pencil, give us a yell. We have beautiful coloured crayons that will colour your life with support and encouragement that leave the pencil for dead. 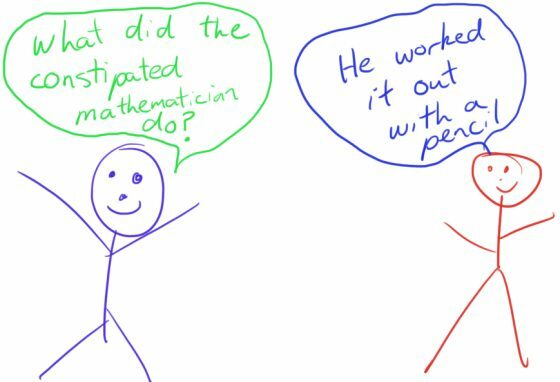 It was your comment on twitter about growth mindset that really got me riled up enough to write a blog post on this stuff. I love your coloured crayons too! Too often, “leaders” point at what is wrong with the followers, instead of looking at their own approach. If we want to get anything done, we have to look in the mirror first. I appreciate the post. Thanks for the comment George. I agree, it’s very easy to place blame. Much harder is to ask how you can make a change as a leader. I think your anger is justified. We need to support one another as learners rather than point to one another as the reason for inefficiency. In my many years as a teacher I’ve learned that most colleagues are eager to support student learning and when they resist, they genuinely feel that the innovation / strategy lacks merit. We need to make space for inquiry and learning together – students, teachers, administrators, parents, staff and community. I hadn’t seen this before Theresa shared it. I can see both sides. 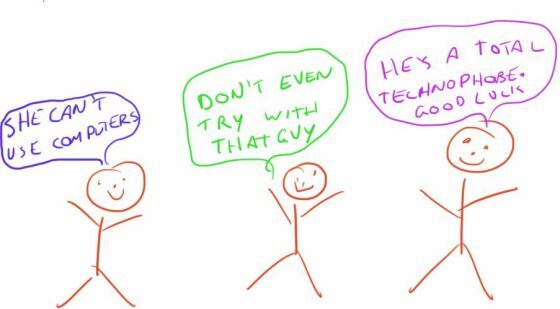 I have experienced the frustration with supporting teachers who have absolutely no interest in integrating technology and who continue to use the same lesson plan for 10 years, when clearly the world is a different place. I have worked with teachers who have adopted technology but have not shifted practice either. I also understand the frustration by teachers who, when they began teaching did not anticipate that they would need to shift so dramatically towards a new and connected world and don’t feel comfortable trying and failing openly. I wondered aloud yesterday about the lack of use of an iPad cart and a teacher told me, “we would use it if we knew what to do with it”. 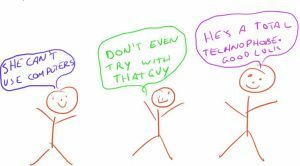 Leaders need to spend their energy supporting teachers wherever they are on the technology spectrum and technology coaches need to be as patient with teachers as they are with students. They need to use the same assessment strategies to meet them where they are and to “sit beside” (definition of assessment) in order to help move them forward. Anyone work with teachers, like with our students, need to honour the dignity of each person with whom we have the privilege of serving. Thank you for your thoughtful post. It is important that we keep respectfully challenging each other. I agree absolutely. I have seen a similar metaphor with train carriages and it made me think that if we are required to differentiate amongst students why shouldn’t we differentiate wth our teacher PD as well. I know this is your least favourite post but it resonates with a lot of teachers trying to drive change in their schools. 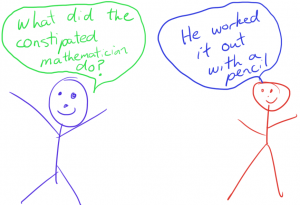 The pencil is only useful if accompanied by a differentiation strategy tailored to the individual needs of the teachers. How can we support the teachers that are adventurous with technology and how to we support teachers that value reliability and stability?